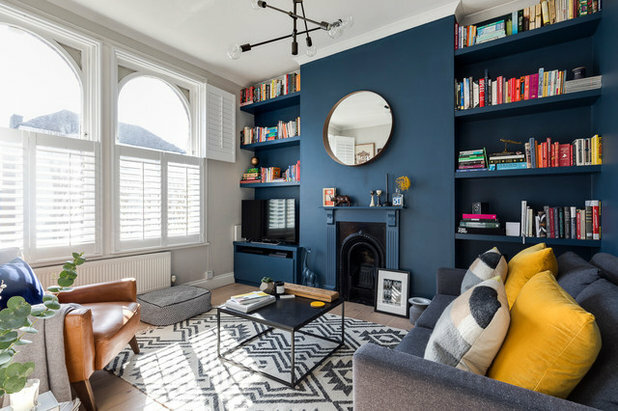 Deep hues can work wonders in a living room to create a cozy, inviting feel, and navy blue is a stylish choice. 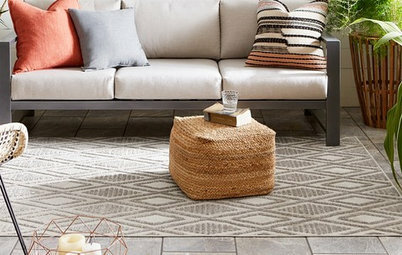 Use it as a backdrop for bold color and pattern, or complement it with soft neutrals for a space that looks warm and harmonious. 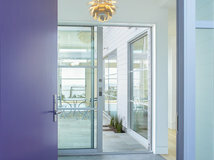 Check out these designs to see how to use navy blue in your home. The soothing tones of inky blue work beautifully with a bold hit of mustard. 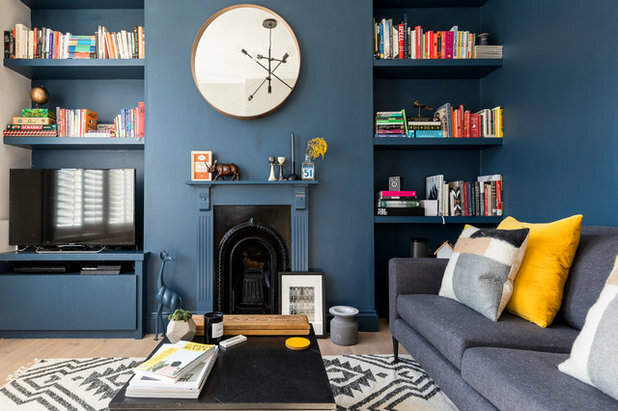 The navy walls and dark wood storage unit give this space a formal feel, while the mustard armchair creates a playful contrast that adds a contemporary twist. 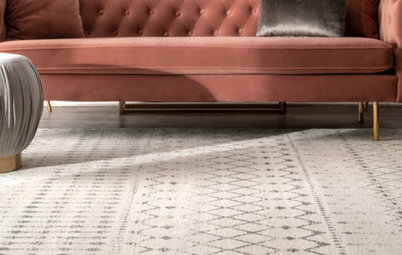 To bring in a cooler but still harmonious note, the designers chose a pale gray sofa in the same velvet as the mustard armchair. 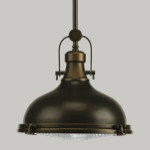 If you want to show off the vivid colors in artwork, choose a dark-toned wall as a backdrop. 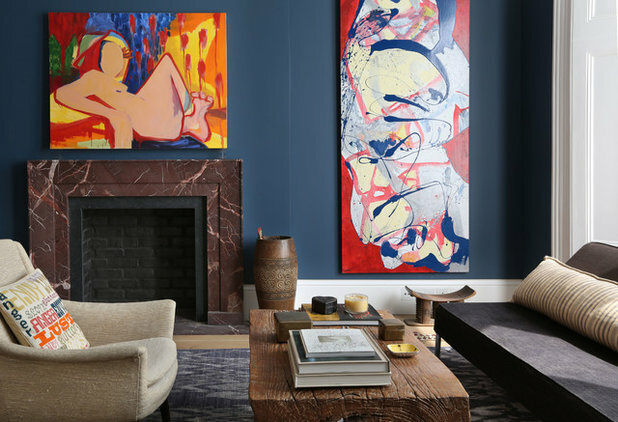 Navy is the perfect shade to highlight the bright reds and yellows in these paintings. 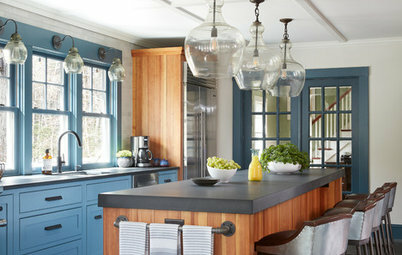 The blues in both pieces tie in with the wall paint, and the soft woods in the room provide muted tones to balance the space. If you’re painting the walls, why not paint everything else while you’re at it? 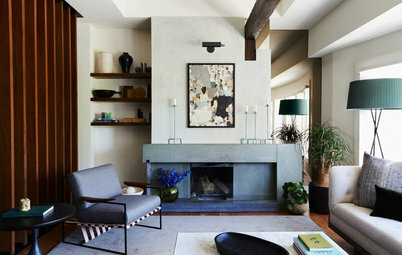 In this living room by Andrew Jonathan Design, the baseboards, the shelves and even the fireplace sport a lick of navy blue. 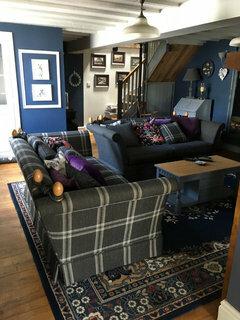 The blue also appears on the sofa wall. Are you worried that the designers went too far? 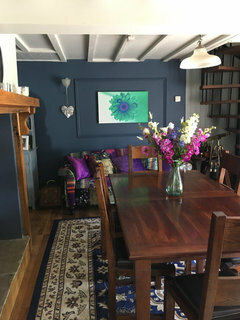 Well, the other walls are painted pale gray and have crisp white woodwork. 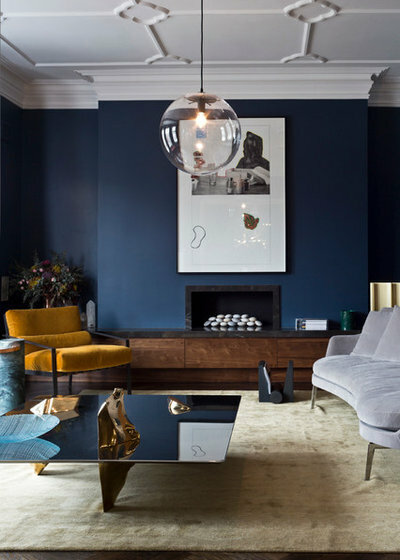 By painting all the architectural features on the fireplace wall a deep blue, the designers created a striking focal point that contrasts with the rest of the space. It’s not only about bold contrasts when it comes to navy blue — the dark shade looks just as good in a neutral color scheme. 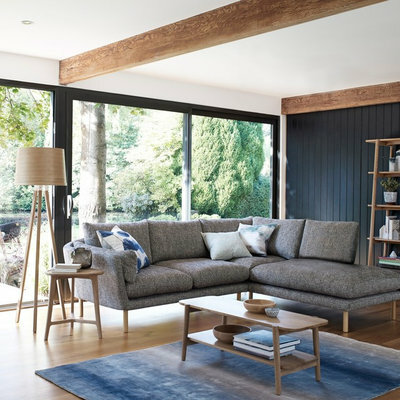 In this Scandinavian-style living room featured by John Lewis & Partners, a sofa in a medium gray and plenty of wooden finishes mix with a deep blue wall. 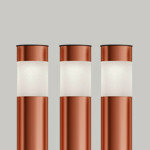 The effect is calm, grounding and wonderfully relaxing. 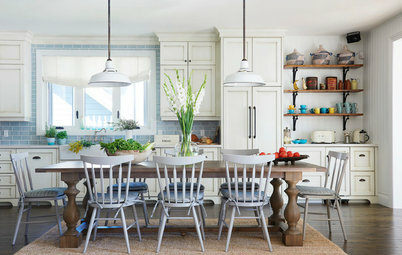 To re-create a color scheme like this, go for pale woods and add some lighter blues for a soft, layered look. 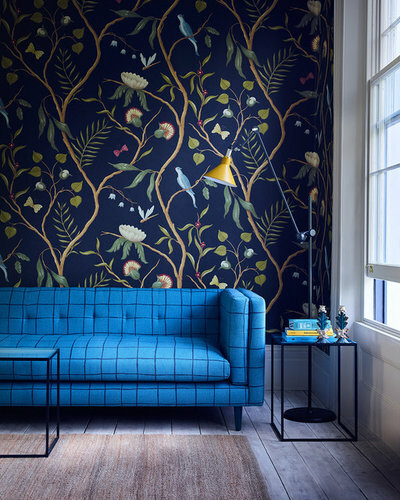 To make a real impact in your living room, try a bold patterned wallpaper. In this case, the navy background helps highlight the branches, leaves and birds. 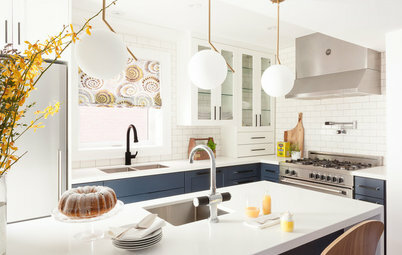 The designers of this space were clever with color, picking out the brighter blues and yellows from the paper for Arlo & Jacob’s Tennison sofa and other pieces to create a cohesive look despite the different patterns and shapes. When it’s combined with pink, navy blue takes on a gentle tone. 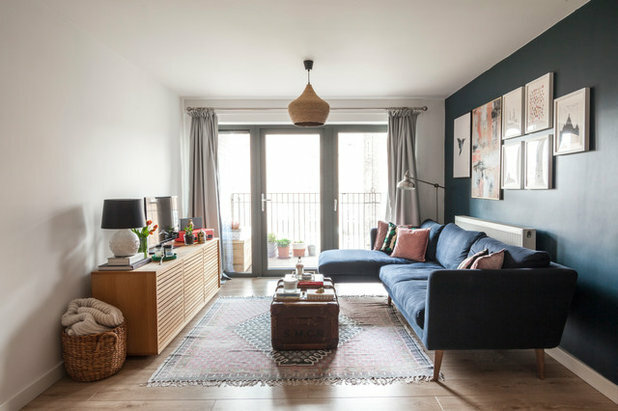 In this living room, a navy wall and sofa help set off the pinks in the pillows, rug and artwork. The cool blue brings out the dusty-gray tones in the pink, and the rose hues warm up the deep blue. If you’re going for something similar in your home, think about layering the pink shades with earthier hues to give depth to the design. Not much of a minimalist? 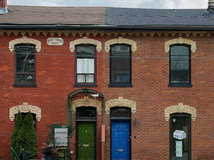 Neither is the owner of this striking space. 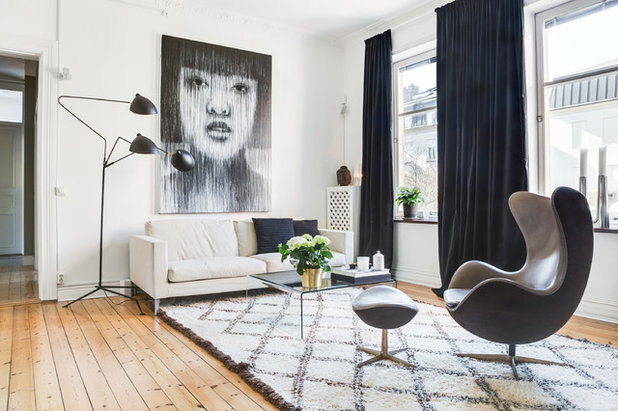 The cozy living room by Doris Lee Design Studio is filled with an eclectic collection of artwork, interesting pieces and plenty of pattern. The selection of disparate objects could have looked haphazard if not displayed so well. 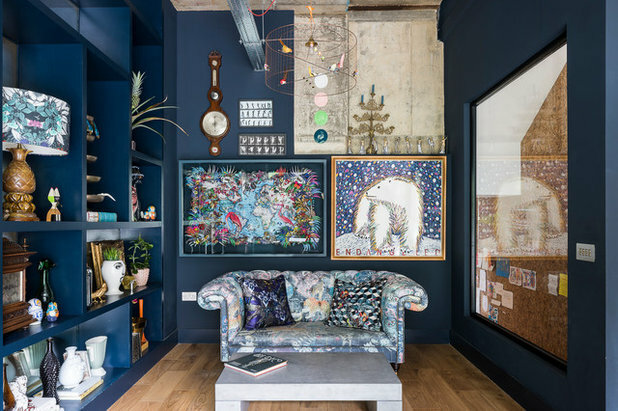 But the clever positioning creates a harmonious atmosphere, and the dark blue walls form a backdrop that grounds everything for a cohesive whole. 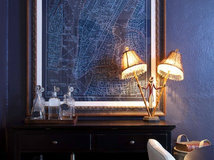 Make the most of the decadent vibe that dark tones can create by mixing your navy walls with luxurious materials. 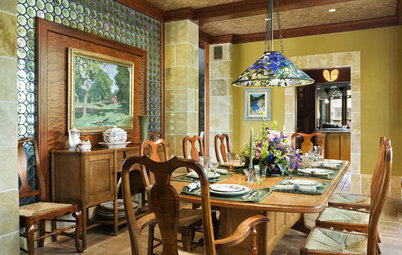 The velvet fabrics in this room span the blue spectrum from dark navy to bright turquoise. 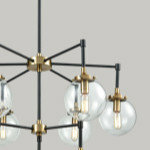 They’re combined with metallic finishes in the furniture and accessories for an even greater sense of opulence. 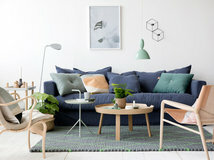 If you’re just testing the waters with navy, why not bring in the color with a few soft furnishings rather than committing to paint? 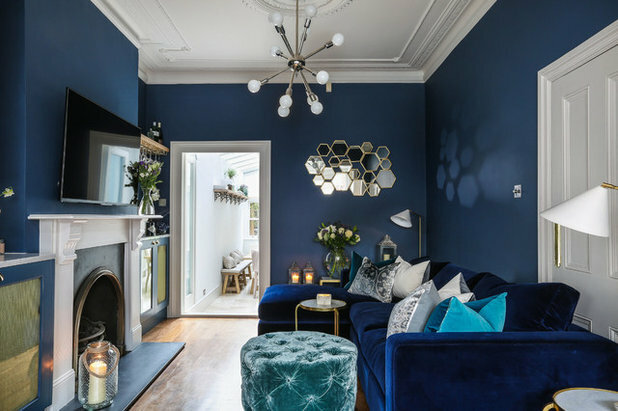 This bright white living room by Pastiche has floor-to-ceiling velvet curtains, which form a wall of dark blue when drawn. A couple of matching pillows help tie the curtains into the otherwise neutral design. The combination of rich color and soft fabric brings warmth and coziness into the white room. 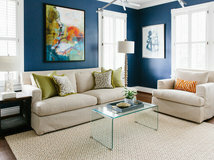 Tell us: Are you thinking of using navy in your living room? Or have you already designed your space with it? Share your photos and ideas in the Comments. I think dark accent walls add depth to a light, neutral interior. 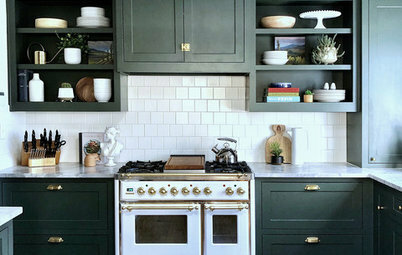 Or even make at least one whole room dark blue, dark green or charcoal grey. Add some panelling or shiplap to a dark wall or room and its texture will add even more depth to the space. 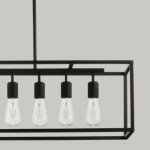 Dark wallpaper, like in the article, also adds texture as well as depth. Don’t usually post photos but.. our house is a small Old Piggery . 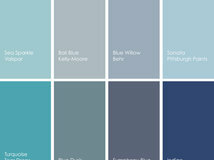 The blue is Breton blue with a grey/ white for ceilings and beams. It’s a little dark but I think of it as a cosy room . 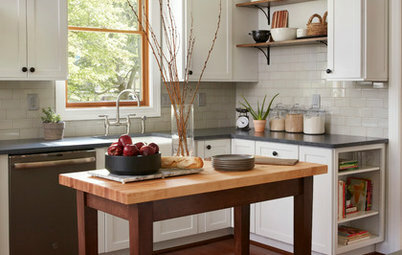 Our kitchen is lighter with more natural light. 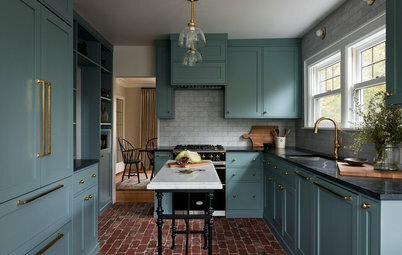 Gorgeous ..... wish i had a client that love peacock blue.